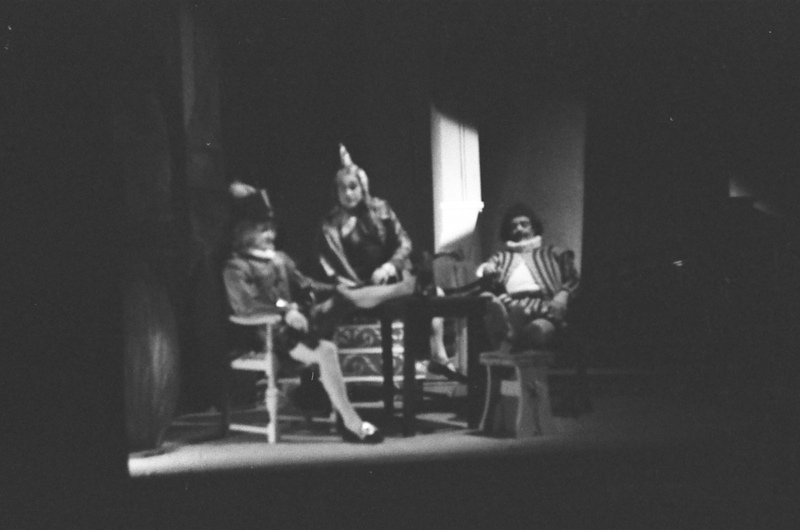 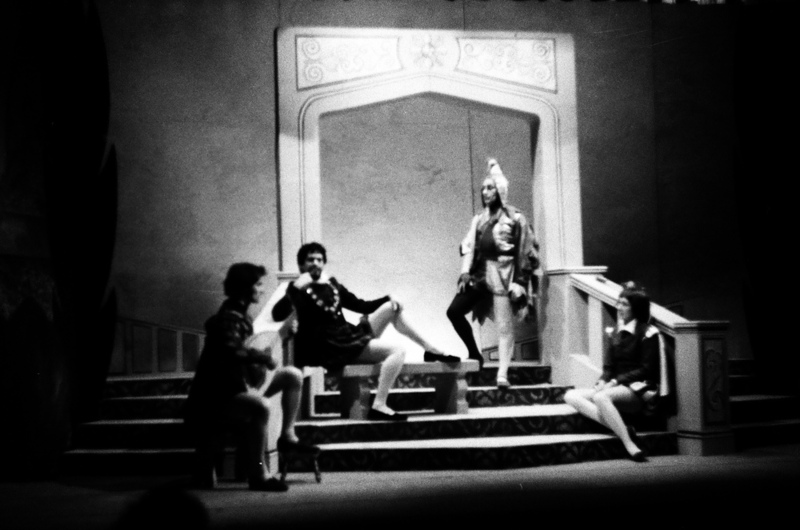 As was the custom at the time in 1969 we presented our 'Shakespeare Festival' - two back-to-back productions in consecutive weeks at the old Derby Playhouse in Sacheveral Street. 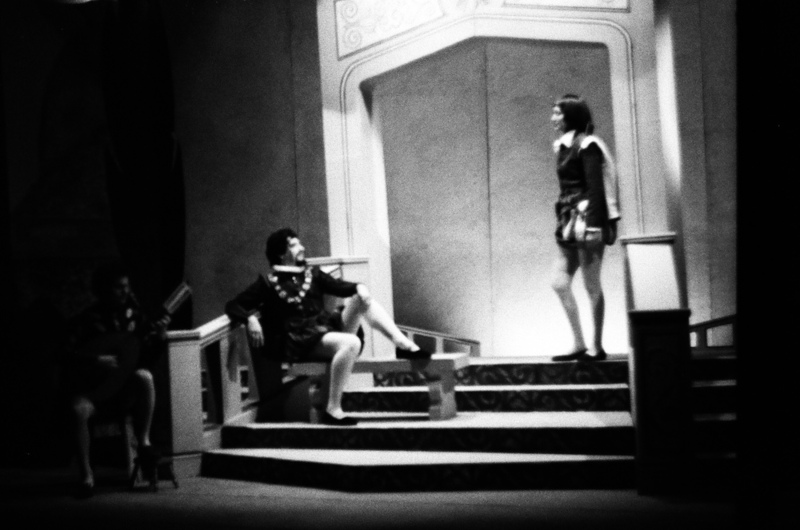 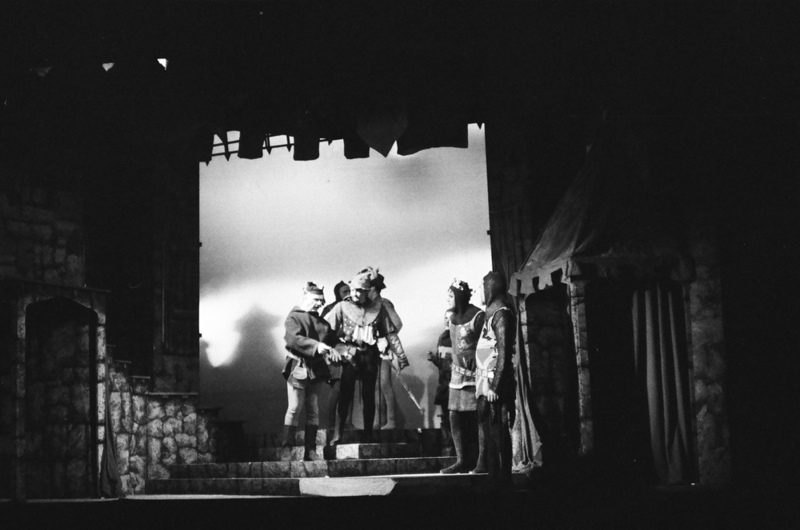 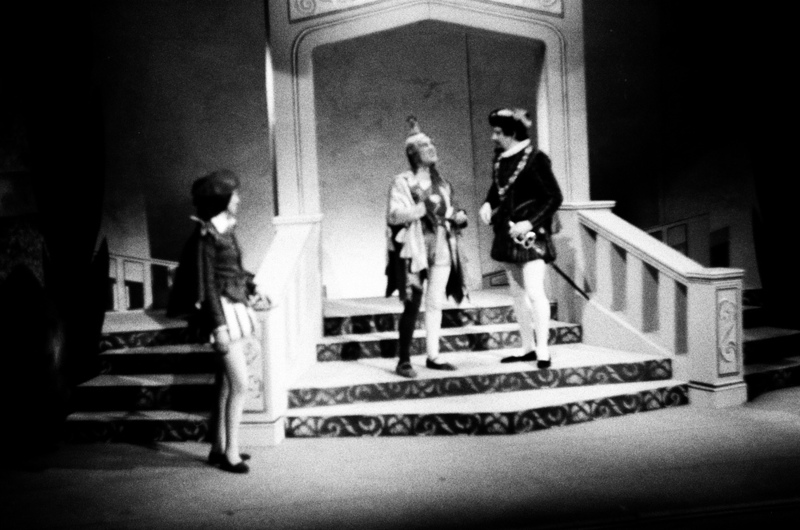 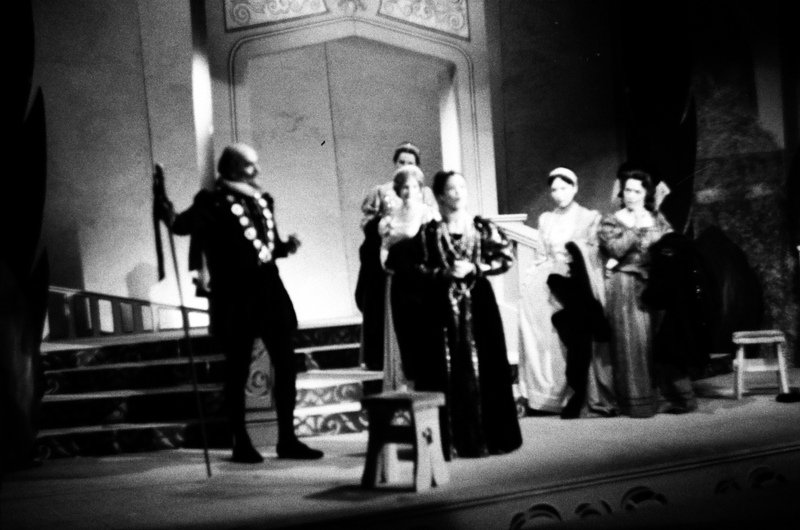 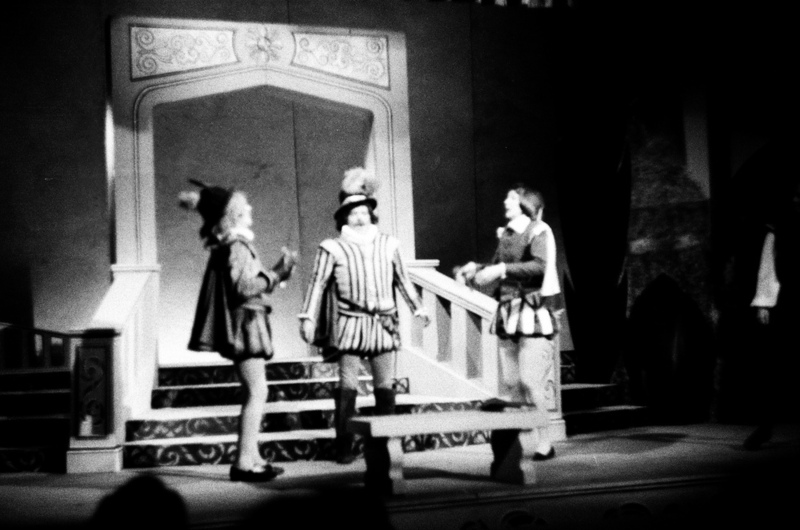 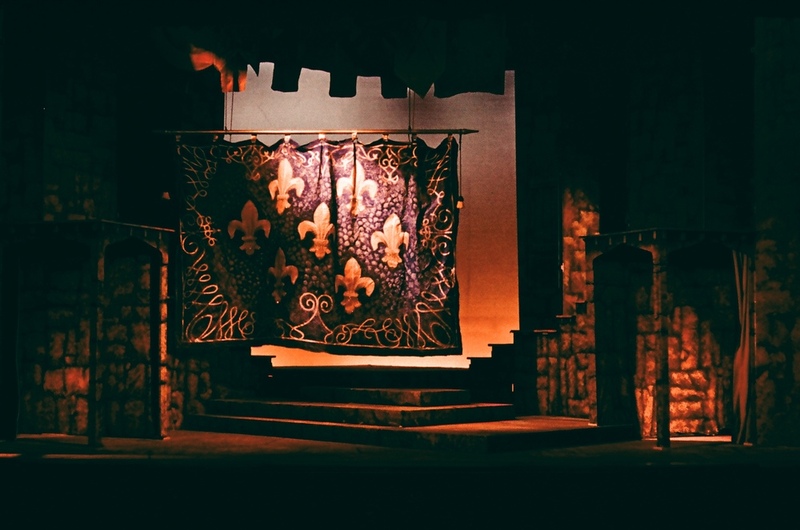 'Twelfth Night' used a set constructed at Shakespeare House by Duncan McGregor and painted by the production designer Susan Ingram, who also designed many of the ladies costumes. 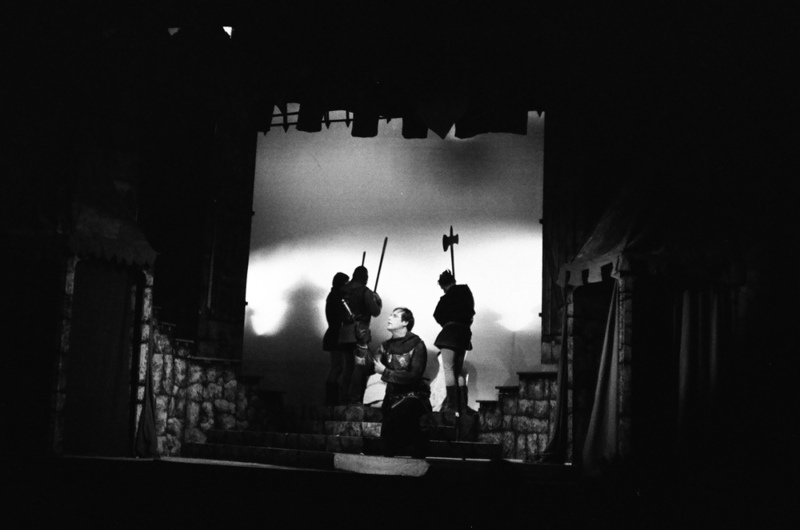 The song 'Come Away Death' was set to music by Frederick Minchin. 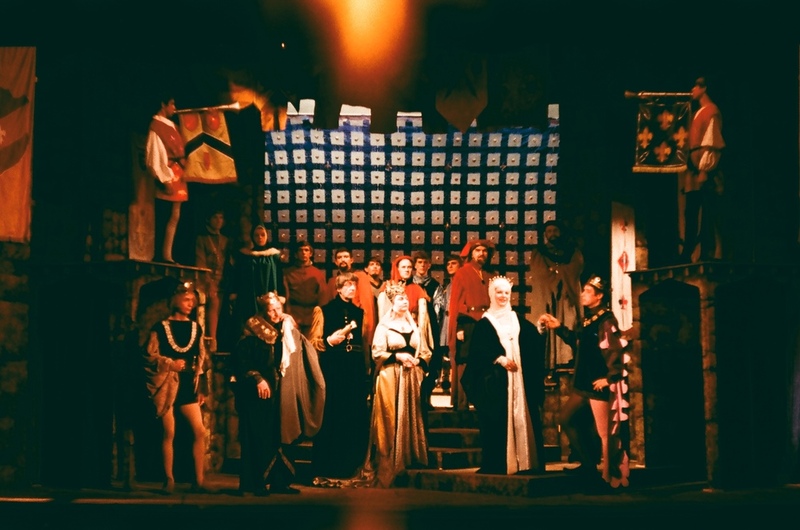 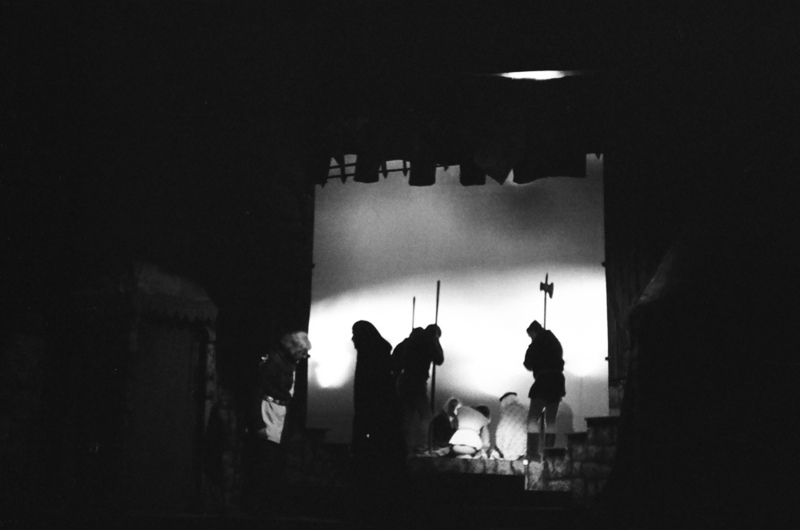 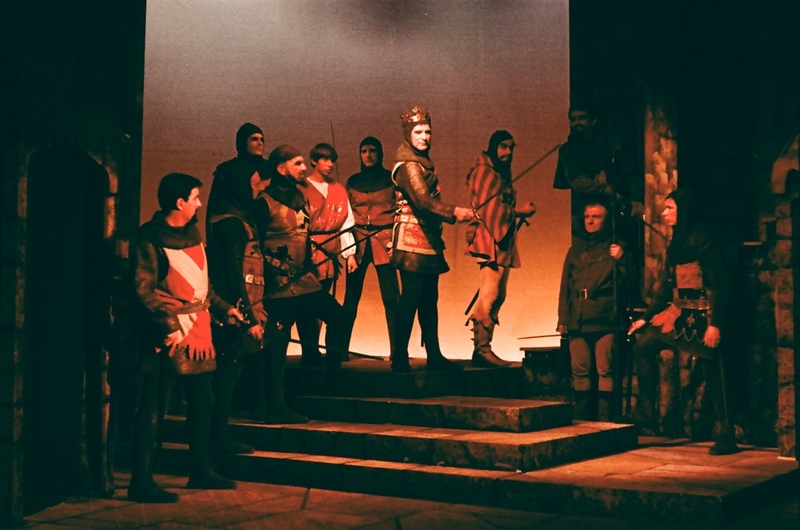 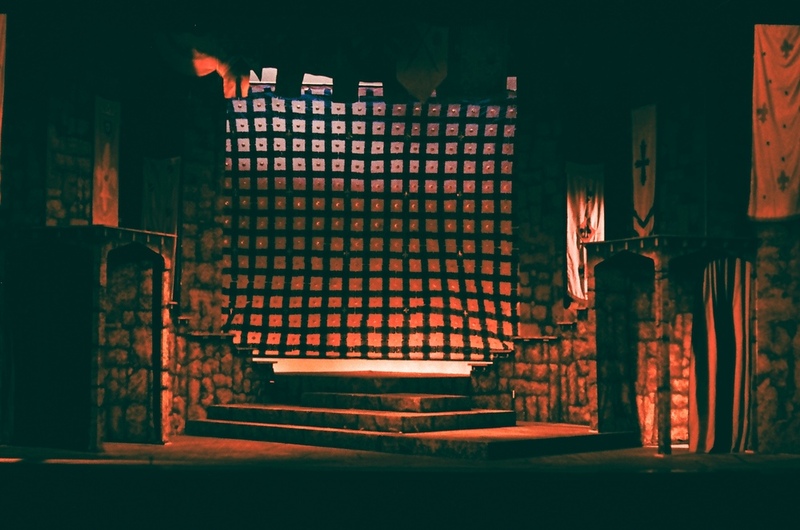 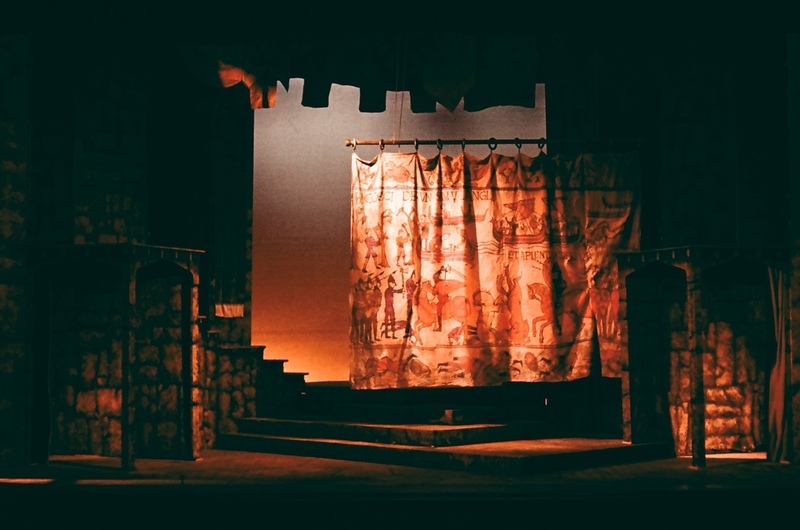 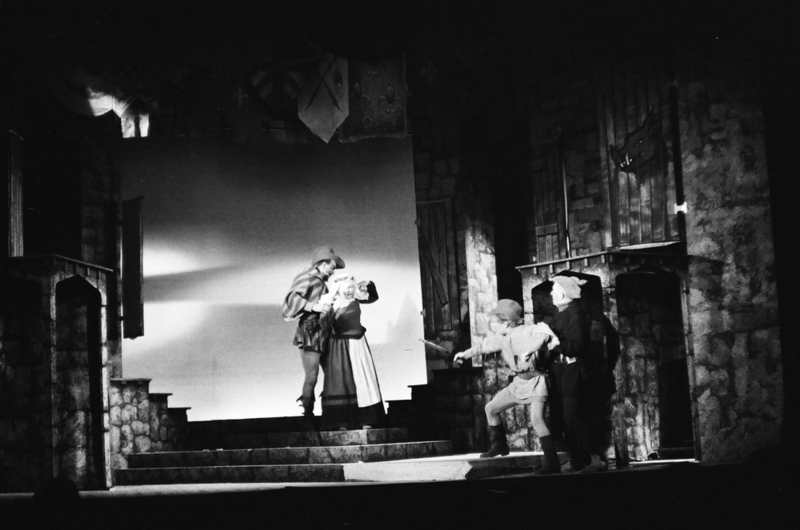 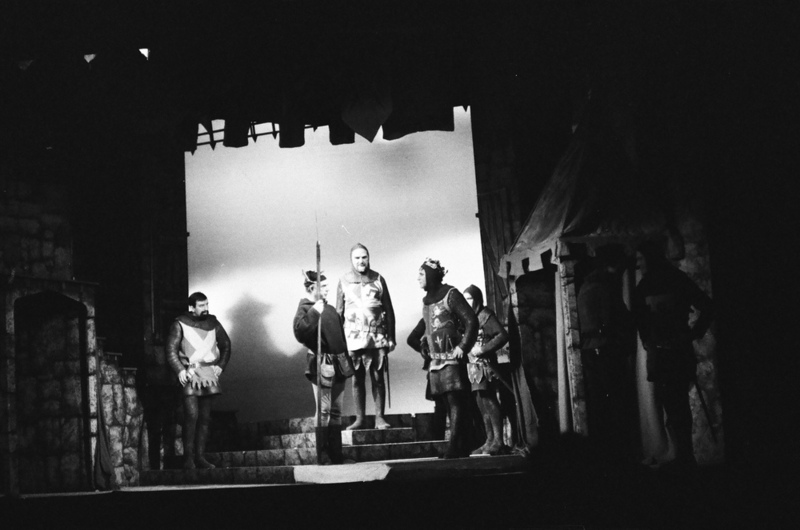 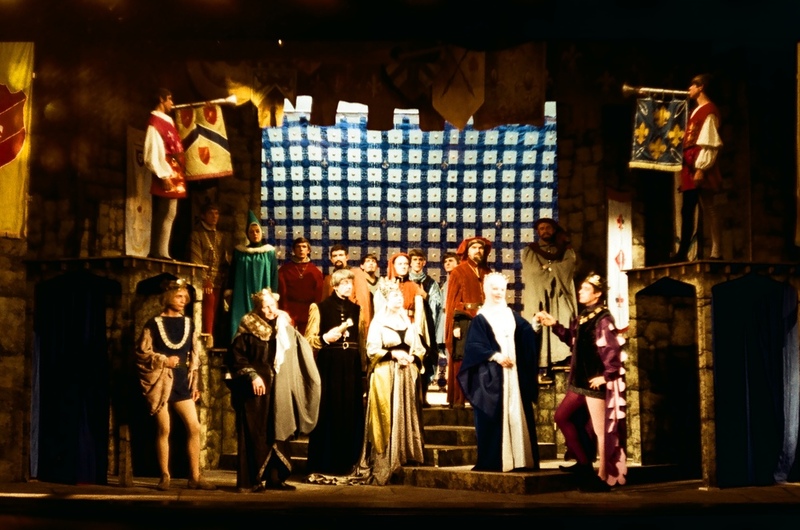 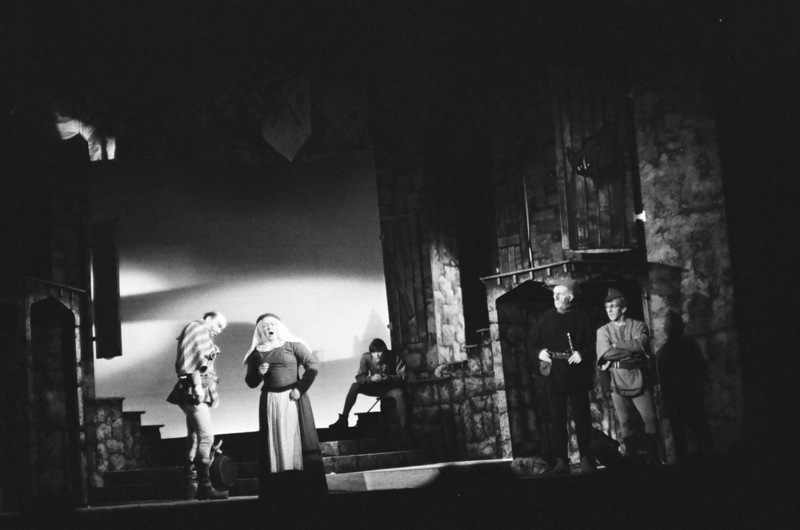 'Henry V' featured a fully painted set with banners and borders as well as original trumpet fanfares composed for the production by John Locke. 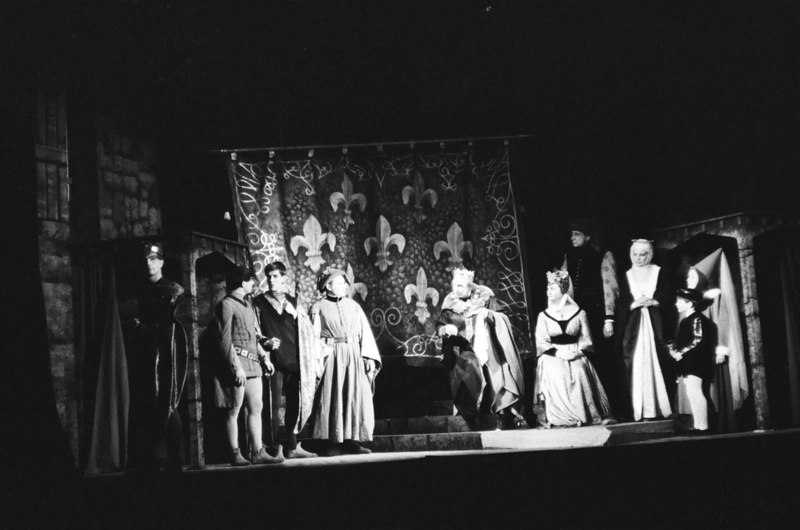 Some costumes, notably those worn by the French royalty, were designed in-house by Peter Sellman and made by Jean Wood, Dorothy Turner and other company members. 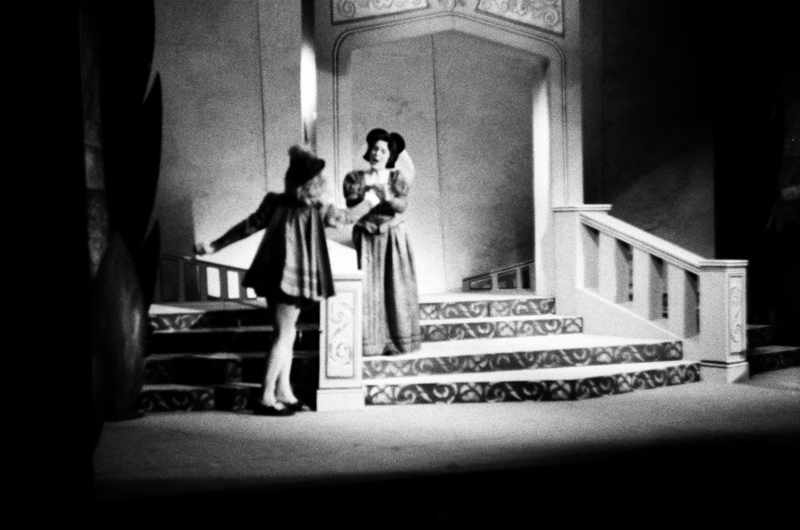 Princess Katherine wore a coronet specially made by Marcia Wheeler.